taylor swift | Just Jess Fashion! In the spirit of all things, well new, I decided to try something new. I’m the kind of person that sticks with habits and routines and a true blue believer if it ain’t broke then why fix it? Since July, I pondered what I was going to do to change things up this season, and I came up with the perfect solution. BANGS! I’m not gonna lie, my decision may or may not have had something to do with my obsession with Taylor Swift and Nicole Richie, both fashionistas who have totally rocked the what my mother lovingly referred to as “brat bangs.” But while I cringed watching the scissors cut inches away from my forehead and fall to the floor I almost immediately felt like a brand new person when I looked in the mirror. My stylist informed me that my decision is typical at this time of year, but that I was ahead of the game as the demand had not quite intensified. Yes! I always knew I was born to be a trend setter! 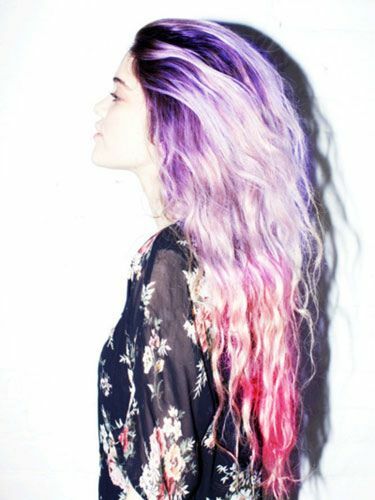 If it weren’t for the bangs, and if I had the freedom to do whatever I could with my hair without interfering with a certain brand integrity, I’d totally opt for the colored ombre at the tips look. But alas, I guess I’ll stick to classic Taylor Swift vogue. Works for me. Huh, who would have guessed a little change could actually be a good thing. Perhaps you’ve noticed your favorite trend setters sporting some pretty sassy graphic tee’s this past year. Hearts, stars, fun sayings splashed across a tank or cozy sweater. And whom exactly are Ashley Tisdale, Vanessa Hudgens and various others turning to for their fashionable digs? Ummm Wildfox, duh! In case you have been living under a very dull and boring, black and white rock the past year you have completely missed this trend! I’ll have to admit I was a little skeptical when I first encountered these tee’s/ sweaters. Really $80 for a t-shirt? You can go to any Forever 21 or H&M and get an equally cute graphic tee for probably no more than $5 or $10. Looking back I can’t believe how incredibly naive I was! Putting a Wildfox top on is like putting on a cloud, that’s been sprinkled with sugar plumb fairy magic. Yes. It is really that freaking awesome! They are the coziest, cutest top you will ever introduce to your closet. Perhaps one of the most magical things about these must have wardrobe staples is how incredibly flattering they are…on EVERYONE! When I think of sweatshirts I think of work out attire (which can also be cute. Rule number one oh fabulous ones, just because you’re getting grosse does not mean you can’t look cute.) Let’s face it, typically sweatshirts are associated with frumpiness,which these tops are anything but. Even if paired with a basic pair of denim jeans, I feel as though the quirky edge that is captured in each graphic print plastered across the front of each ensemble is the perfect element to add to one of the most basic articles of clothing. One of my favorite fashionistas who seems to be unofficial representation for the label always seems to pair these super cute blouses with the perfect accessories. Whether it’s a classic Chanel bag, fringed boots, or funky print shorts, she always seems to find the perfect match to complete the outfit. Oh and FYI, the label also extends beyond graphic tee’s to equally AMAZING dresses, bottoms, jewelry and even sunglasses. One of the things I love most about these collections is that they encourage the wearer to live up to the label- and that’s to have fun and be wild with fashion.